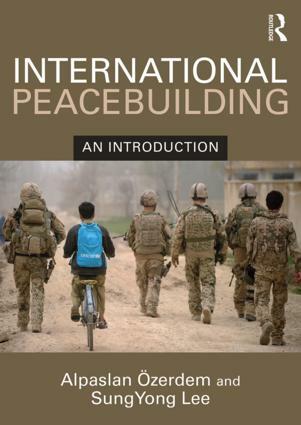 International Peacebuilding offers a concise, practical and accessible introduction to the growing field of peacebuilding for students and practitioners. Part I defines the core concepts and theoretical discussions that provide the philosophical grounds for contemporary peacebuilding activities. Part II divides the procedures of peacebuilding into three phases and examines some of the important features of each phase. Part III examines the key areas of the practice of peacebuilding. The volume approaches peacebuilding from the viewpoints of individual actors or institutions, introducing a range of theoretical discussions with which students can critically examine contemporary peacebuilding practice, as well as presenting detailed case studies for key issues highlighted in the text. In doing so, the book aims to provide more concrete ideas on how peacebuilding programmes are planned and implemented in the field and which major issues should be addressed by peacebuilding practitioners. This book will be essential reading for all students of peacebuilding, conflict transformation and post-conflict reconstruction, and recommended reading for students of international organisations, international security and IR in general. Alpaslan Özerdem is professor of peacebuilding and co-director of the Centre for Trust, Peace and Social Relations, Coventry University, UK. He is the author/editor of numerous titles, including most recently Youth in Conflict and Peacebuilding: Mobilization, Reintegration and Reconciliation (Palgrave, 2015). SungYong Lee is lecturer at the National Centre for Peace and Conflict Studies, University of Otago, New Zealand. He is co-editor of Local Ownership in International Peacebuilding: Key Theoretical and Practical Issues (Routledge, 2015).